I’m a layman writer. Not particularly gifted, but passionate. I construct stories, and for me, that usually starts word association, now referred to as a hashtag. There are a lot of buzz words that I can think of when I think of Jessica Ogden-Barry, she oozes individuality. 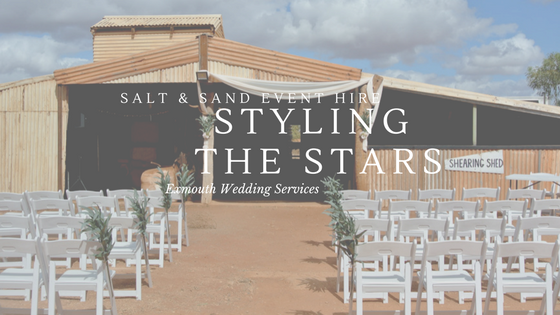 Jess is the owner and stylist of Salt & Sand Event Hire. Ladies, are you planning an epic event? You need this woman in your life. Men, are you planning a special proposal or surprise for a loved one? Ask her about Memorable Moments a new addition to her services. She is through and through Australian with a flair for the exotic. I’ve never seen her wear the same outfit twice and I have a hunch it’s entirely planned. She manages to style herself, her business, and her life with a mixture of thoughtful, durable, and unique choices with a hint of modern Australian style. A perfectionist, but not stuffy. Lighthearted and loves to have fun and experience adventure. She is the perfect accompaniment to her craft – styling events with the beautifully rugged backdrop that is Exmouth and the Ningaloo Reef. Ever styling, when I asked her for her goals, she relabeled it her ‘dream card’:0). I dig it. It fits her and we are excited to see her dreams become a reality. 1. To build a small business and brand that people around the world will not only talk about but come to experience by having their wedding on one of the many beaches we call home the Ningaloo Reef. 4. I dream to one day style a wedding in another part of the world, somewhere amazing like Dubai. This place is breathtaking and suits my over the top personality. 5. To never stop dreaming and imagining. The Reveal: Check out The Adventure tab on our website. 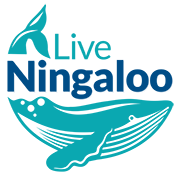 If you book a tour for the end of March (we start on 26th of March) we’ll take 15% off your tour (cannot be combined with other offers). She has an Instagram account for the house she is building with her husband. Find it here. Favourite place in Exmouth: Sandy Bay. It was her, and her husband got married. She collects Kate Spade coin purses and Vogue magazines – her mags are in mint condition (hasn’t even pulled the perfume slips!!!) and she’s been collecting the monthly issues for about a decade.